I’m embarrassed to admit this, but lately I’ve been thinking a lot about Candy Crush. It’s a mobile game that’s become a worldwide sensation. The game has been downloaded 500 million times and played more than 150 billion times. But the reason I’ve been thinking about it is not what you’d expect. You see, I believe Candy Crush has a lot to teach us about Bible reading. But what does a mindless mobile game have to do with Bible reading? It turns out the secret to the success of Candy Crush, according to developer Tommy Palm, is the habit-formation principles he incorporated into its design; things like keeping the process simple, providing positive feedback and encouraging players to connect on Facebook. That fascinated me because ten years ago Scripture Union studied habit formation and the Bible. Instead of making daily devotions a heavy-duty study, we asked, “What would make Bible reading an enjoyable, repeatable behavior?” With the help of author and psychologist Dr. Jeff Brown of the Harvard Medical School, we looked at lots of habit-formation research. In the end, the principles that seemed most effective in the devotional life were: a) setting achievable goals, b) making a personal plan of action, c) using a pre-determined schedule, d) tracking one’s progress, and e) having the “soft accountability” of reading the Bible with another person or group. We then built these principles into our E100® Bible Reading Challenge and the program took off. To date, over 2,500,000 people in dozens of countries and 20 languages, have participated. We’ve partnered with the American Bible Society to distribute E100® to the US Military. And we’ve even developed a youth edition. Honestly, E100® is growing faster then we ever imagined. But in the end, the secret to regular Bible reading is not some kind of Candy Crush trickery. It’s what faithful Christians have known for centuries: meeting God in his Word is what brings you back to the Bible every day. SU is now building that approach into all its programs. As the Psalmist said, “My soul thirsts for God, for the living God. When can I go and meet with God?” (Psalm 42:2). That’s what people truly crave. After a week of playing Candy Crush (and progressing to level 23), I permanently deleted the game from my iPad and iPhone; I was wasting too much time on it. But the good new is I’m still experiencing the joy of meeting God in the Bible every day, and I don’t plan to stop. Bible crush! I think you hit the nail on the head in “keeping the process simple.” Many times we try to over think things and try to make it too complicated and it's hard to want to read something that makes life more complicated. Thanks for you post. Hey there Whitney! Yes you're absolutely right…lemme put it like, you've brilliantly related the two most unrelated aspects of one's life – Bible reading and Candy Crush Saga playing. Actually I couldn't agree with you more on this one..as for me, I am a total CCS addict, been playing it under the desk, at home, even at the subway. 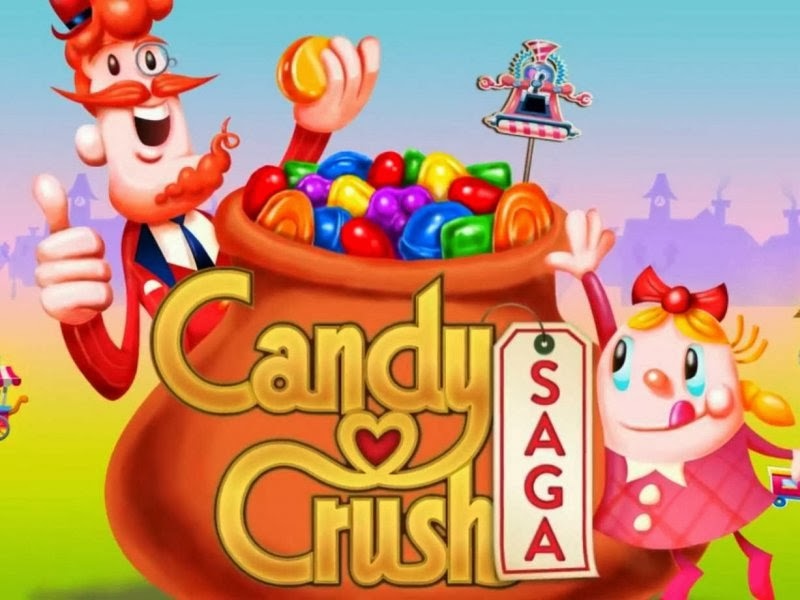 In this blog a very nice information about Candy Crush gaming experience. Candy Crush game is one of the best game of the new generations.Thank you for sharing your experience with us. The Devil is using these new games to slowly keep you away from God and slowly take control of your mind. Whether or not you are actually enjoying the experience, possibilities are you have seen notices pop up in your Facebook or myspace welcoming you to give it a try, or get some present that a buddy who performs the experience got for you. Sweets Grind Tale could likely be the most well-known activity on the Internet right now, being the experience with the biggest number of downloading in the The apple company iTunes Shop and Search engines Play Shop for many several weeks already. Why do we love to play Candy Crush?